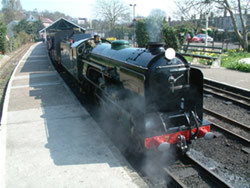 Our site is ideally placed to take advantage of all these attractions and we will be happy to give you advice if needed. * The area is famous as the setting for Dry Syn books and there is a celebration of this in Dymchurch just a couple of miles from the camp. 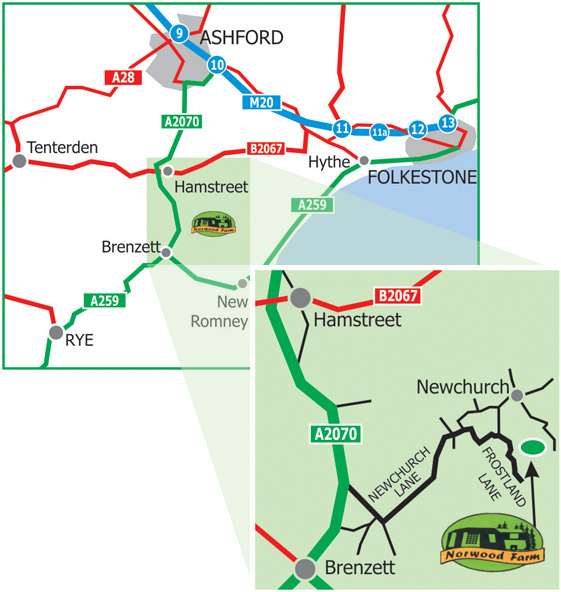 There are many pubs and resturants close to our site, ranging from family friendly pubs to 'good night out' pubs. 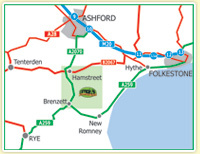 The Romney Marsh is a rural area but it is within easy travelling distance of Ashford, Folkestone, Dover, Rye and Canterbury. Here you will find modern shopping centres, nightclubs, multiscreen cinemas & amusement parks, which should keep most holidaymakers entertained. Yet the site offers peace and tranquillity for those ‘lazy take it easy’ days. Romney Marsh is world famous for its sheep, even having a breed carrying the name. As our site is placed on a working sheep farm you will get a good idea of how this area of farming works. One distinct advantage of the marsh is its Geography. It is a very flat area making it ideal for cyclists and walkers. There are many areas of beauty and lots of superb bird watching areas, Dungeness especially. The marsh is also famous for its small village churches and they are all worth a visit. As are the many pubs that are dotted around the marsh.